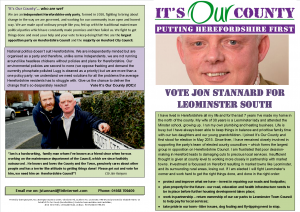 Our superb candidate for the vacant ward of Leominster South, following the sad death of Cllr Peter McCaull, is Jon Stannard, a self employed heating engineer and former IOC Executive member. It’s new ground for IOC, we have never stood in Leominster but it’s time to spread our wings and give the people of our largest town more choice. 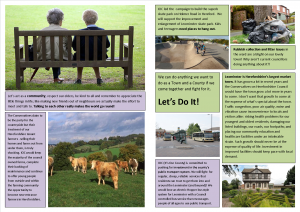 Interesting times ahead, help us to make the changes our county so desperately needs.